What are the “big rocks” in life? Work, family, faith, education, finances, teaching…? 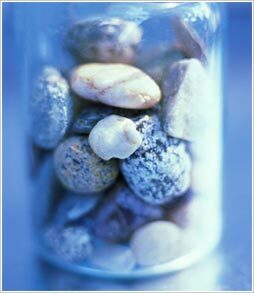 Smack in the middle of my “third chapter” of life, I already have a lot of experience with “big rocks”. And frankly, I tend to think less about how to fill my jar and more about how to clean it out. What rocks, gravel, sand and liquid would I like to throw out so I have time to think, perchance to make the world a better place for my being in it? So what about pitching out the worry rock, that “I’m so busy with my checklists”, everyday chatterings of the ‘monkey mind’, as Buddhists say. But then I’d have to pour out some comforting waters of attention, the smooth sand of unearned compassion, plus the gravelly illusion that I’m actually getting things done. Ok, surely I can lose that extra 5 pounds of rock, gravel, sand and water – well, maybe it’s more like 10 pounds. But then I’d have to remove yummy desserts, that glass of wine with dinner and jellybeans from my jar. I love this – it makes me chuckle at myself! Thank you for sharing your enjoyment!